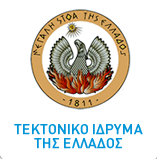 The institution of these scientific meetings began in 2005, with invited famous scientists and researchers from the Greek and international academic community in the frame of the Revival of the “Delphi Idea”. The works are defined and referred to the changes that will be introduced in space - time, to the structure and operations of the society of 2030, by Applied Science and especially, High Tech with special emphasis in Education and Communications. Through these scientific encounters, we anticipate to present the magnificent breakthroughs of the Basic and Applied Research, as well as the appropriate solving strategies of the forthcoming crisis, in compliance with the global value foundation, which is the most secure guide (as Iniochos) for the human survival and its civilization. Securing human values and human rights as well as the environmental protection as basic part of crisis management will be presented and discussed by top speakers in the light of the Greek Contemplation and its System of Values.